The credit card machine must "read" the card presented. Usually, swiping the card through the reader slot transfers all data from the magnetic stripe to the machine. Three tracks of data on the stripe include the cardholder's name and other personal information, credit card number and security and verification codes. The credit card hardware "captures" this information and readies it for transmission. The credit card machine must then transmit this information to the merchant's credit card processor. Internal software combines the merchant's name and identification number with the cardholder's information. 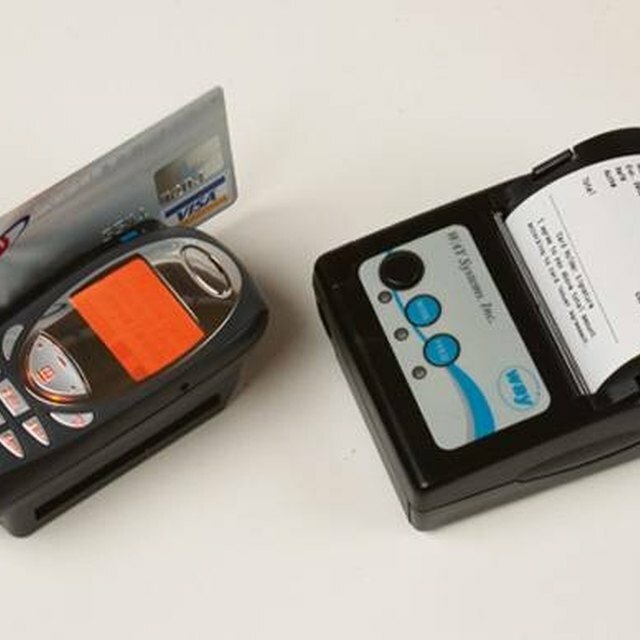 Using a telephone modem, the credit card terminal transmits this data to the processor's server. The machine awaits a response allowing or denying the transaction. If approved, the transaction will receive a unique "authorization" number identifying the specific purchase. The processor's computer has electronically verified that the credit card is active, has not reached its maximum credit limit and is being used by the correct cardholder. The entire process, including assigning the approval number, is achieved within 3 to 5 seconds in most conditions. The credit card machine then springs back to life, producing two receipts on its internal printer. One is for the cardholder to sign and is kept by the merchant. The other is the cardholder's evidence of the transaction and the merchant where it occurred.